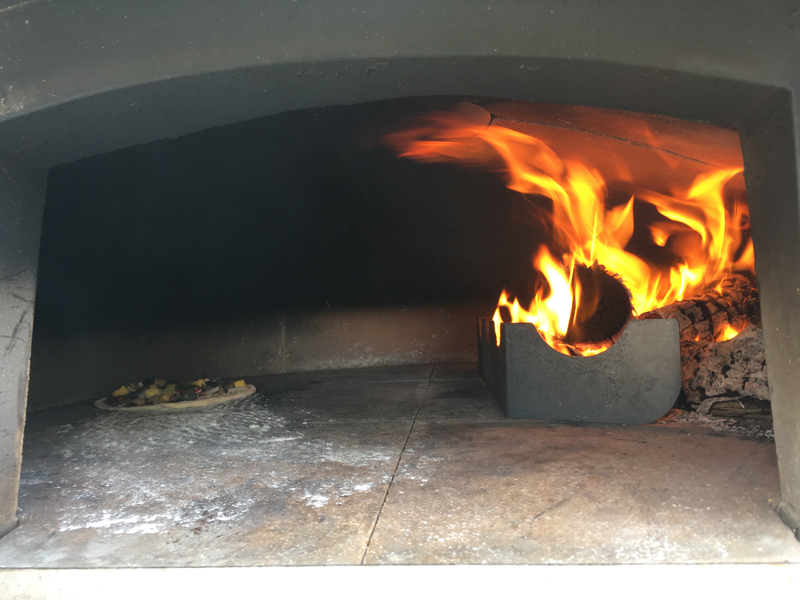 “Selected as a healthy alternative to fish sandwiches, burgers, and hot dogs, the start of the 35th America’s Cup will be a big moment for Tim Jackson, his wife Michelle Brock Jackson, and the employees at J&B’s Wood Fired Pizza,” the ACBDA said. 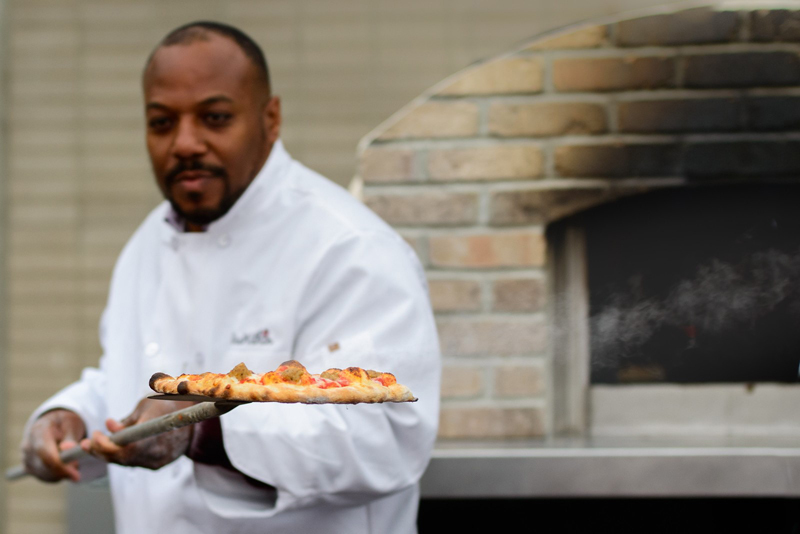 “Named as one of the five primary food and beverage vendors for the America’s Cup Village, the healthy pizza company, with its sugar-free bases and ingredients, will make its island debut at the event; the start of a journey the Jacksons hope will eventually secure the business’s place in the Bermuda catering scene. “Their success in securing one of the highly sought after vendor spots has already had a positive impact on the business, with Mr. Jackson expecting to take on between five and seven staff for the duration of the 35th America’s Cup, which runs from May 26th to June 27th. “The adrenaline is going a hundred miles a minute, I’m really, really excited,” Mr. Jackson said. 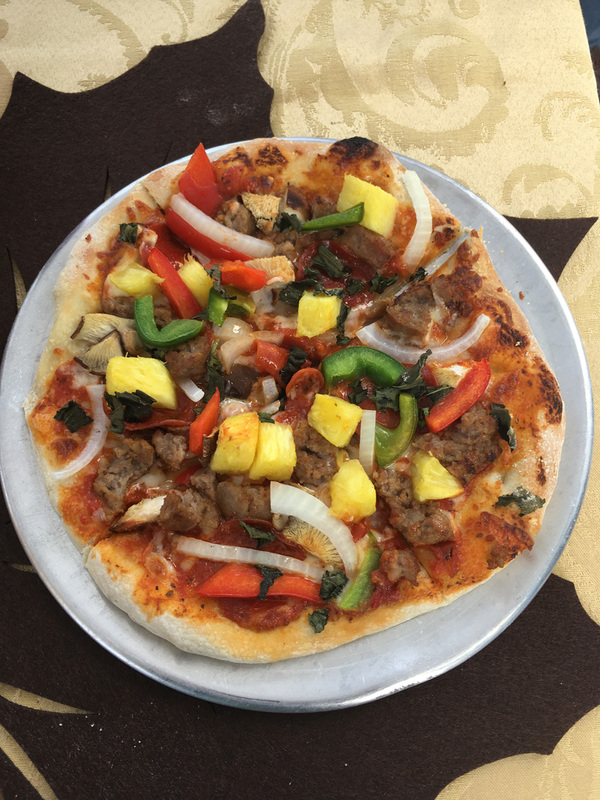 A former principal at Sandys Middle School, Mr. Jackson had been looking for a change of direction and the America’s Cup came along at just the right moment for the couple, who were in the process of starting their pizza business. The pair originally learnt about the opportunities available to local businesses for the 35th America’s Cup through the website americascup.com, and once they discovered they had been successful, preparations for the event went into full swing. “Believing that preparation will be the key to success, the Jacksons have focused all their efforts on making sure they are more than ready for the thousands of spectators, from at home and abroad, who are expected to pass through the gates at the America’s Cup Village. As well as being healthy, the pizzas will have Bermudian themes with names such as Onion Patch and Grease, and Mr. Jackson said he was looking forward to Bermuda being part of such an historic event. “Our friends and family are ecstatic knowing we are just getting started,” Mr. Jackson said. “And to have America’s Cup as our first big event is quite exciting. Family and friends want to make sure we are well prepared to take on the challenges; I got a phone call from a cousin asking how many dough balls I’d made, and how many am I going to have before it starts. “Everyone is excited, and thankful, and I just want to have a great time in that environment,” he added. Oh man I want one those! Brick oven pizza is the best. Wishing them much success. Hopefully they have pesto sauce as an option. Fantastic, Dr. & Mrs. Jackson!! Can’t wait to try!! One suggestion….grill the veggies before putting on the pizza, it gives it a full flavour. Congratulations! Sounds like some young wonderful entrepreneurs are on their way to success!! Curry pizza please! So miss the curry pizza at Trat, the tikka aint a patch.